It’s hard to believe it has been 20 years since the groundbreaking Jesus Freak record. It’s fun to look back and see the impact that Jesus Freak had. Let’s go back 20 years and hear from those that had a hand in one of the biggest successes in CCM history. Dan Brock (former Forefront Records President): 1995 was quite an exciting time for us at ForeFront Records. We were a small independent label that had grown quickly. We had recently received our first Platinum Album award for dcTalk’s Free at Last release. The group was back in the studio recording and we were preparing our plan for the biggest release in our company’s history – ‘Jesus Freak’. In August of that year we released the AVCD single of Jesus Freak which also featured the Gotee Bros. Freaked Out Remix, I Wish We’d All Been Ready, and a Jesus Is Just Alright live version. The single debuted on Billboard’s bubbling Under Hot 100 singles chart on the strength of sales only. The Hot 100 Singles chart was typically compiled by a combination of both radio airplay and retail single sales so many were amazed since we had not serviced the single to mainstream radio at that point. 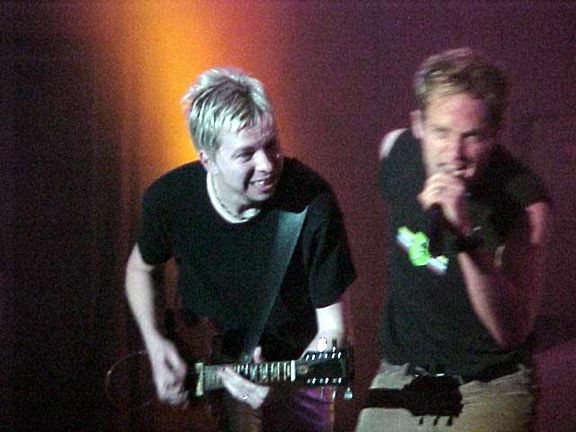 My goal had always been for dcTalk to not necessarily crossover, but carry over exactly who they were into the mainstream music world and be sort of an underground hit that came out of nowhere without softening or changing their message. We were thrilled to see that on the verge of happening with the single. We had committed the largest recording and marketing budget in the label’s history to the Jesus Freak project. We were taking such a gigantic risk that if it failed it could have put us in a very bad financial hole. But since we were so convinced that this was going to be a game changing album for the entire Christian Music Industry we went full speed ahead into the unknown with a lot of prayer and preparation. I felt this was the most radio-friendly album the group had made thus far and that would transcend the barriers that we faced in getting the music to the people. We released the album on November 21st of 1995 and it immediately set the record for the biggest selling first week of sales in the history of Contemporary Christian Music. It entered at #1 on the Christian Retail Charts and at #16 on Billboard’s Top 200 Sales chart. If it were not for debuts by the Beatles, Garth Brooks, Bruce Springsteen and Vince Gill that same week the album would have debuted even higher. 1996 saw the album continue to grow in popularity in sales, airplay and awards. Jesus Freak was the first song of its type to receive the ‘Song of the Year’ Dove Award from the Gospel Music Association. As I look back now I see that time as the multi-year plateau era for ForeFront. I came to realize that the goal that I had first set out for myself in the late 70’s while managing my first Christian Rock Band (PETRA) was now being seen with dcTalk. Ben Cissell (Audio Adrenaline): I was 19 years old, and I landed a job at True Artist Management, they managed Audio Adrenaline and DC Talk. I heard that AA was needing a drummer and I was going out on weekends selling merch and helping in any way I could, all the while watching drummer audition video tapes and taking notes as to exactly what kind of drummer AA was looking for. 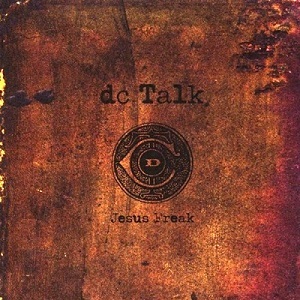 Jesus Freak the record was just about to come out and I did not know too much about DC Talk, in fact I met Toby a few times at the office before I knew he was in the band. I remember when I found out I thought it was pretty cool because he seemed to be a very hard worker, nice, and easy to get along with. He had zero rockstar attitude. I got a pre release of Jesus Freak and played it in my car. I remember liking it right away and thinking it was going to be huge. Jesus Freak to me is like a compilation record. DC Talk has always been like five different bands. With three main guys coming from different talents and influences, each song can have its own personality. I remember the first week sales broke a record and thought it was well deserved and then I found out that AA was going to be the opening act on the Jesus Freak tour. My audition came up for AA and I was not good. They were nice about it, but I did not impress anyone. The current drummer (Greg Herrington) offered to work with me for awhile and they would give me another chance. The only thing I had going for me was they new they could live with me on the road and I was easy to get along with for the most part. I knew there were two other drummers much better than me but eventually I made the gig. There is a much longer more dramatic story there but save it for another time. About two weeks before the tour, we were invited to a tour spiritual retreat weekend in Adrien Michigan. It was Audio Adrenaline, DC talk, all the crew, and any family members that could make it. Brennan Manning was the guest speaker and facilitator of the entire retreat. Imagine that. It helped put the tour into perspective, but I had no idea what to expect. It was a major market, all arena, 65 city tour. This had not been done before in Christian Rock since Stryper. We filmed a music video in Los Angeles and met the tour in Irvine CA for the first show. I remember getting very nervous at sound check. The venue was huge and empty. It was very lonely. I had not used monitors very much before and almost the entire DC Talk band was in the front two rows wanting to see AA with this new 19 year old drummer. I did not impress anyone. Will Denton (the drummer for DC Talk) took me to the side after and said, record a tape of the show every night and listen to it in your bunk at nights. Think about where you can get better. 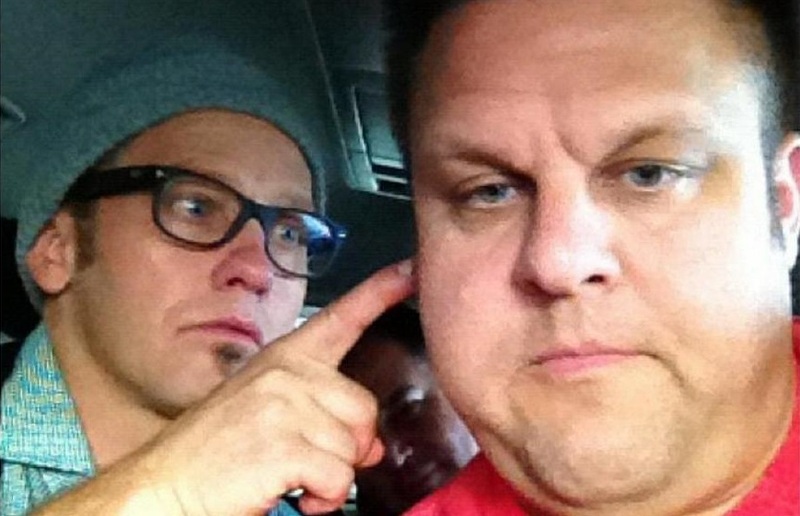 Guido (dc Talk road pastor): I remember being poolside with Toby at the Balalaika hotel in South Africa. He was writing the lyrics to Jesus Freak. I just remember him saying that he was trying to come up with something along the lines of “he had a tat on his belly and it shook like a bowl full of jelly.” A lot of memories! Mark Heimmerman (songwriter & producer of Jesus Freak): Producing and writing for Jesus Freak was definitely the pinnacle of my music career. Looking back, I now know that it was a special project on several levels. You really can’t tell how special when you are in the middle of it though. One thing is for sure…it was a LOT of hard work. Ultimately, Jesus Freak was a collaboration and collision of individual talents, gifts, spirits and hearts with one goal…to reach as many people as possible with the message of Christ. I believe it was God’s hand and Toby’s leadership skills and vision that really propelled this project. Everyone involved gave passionately from their heart. It was a time when we could take the gloves off creatively and swing for the fence. So many things had to be in place and the time had to be right for Jesus Freak to become one the more influential records in CCM history. We had a big enough budget to spend the extra time to try different things. We had a label that gave us the space and trust to do whatever we wanted. It was my job to bring all the pieces together. I needed to help create a sound that incorporated three very different artists. Toby allowed me to interject my own artistry into this project which probably gave it some glue. I believe it was all of this diversity that helped dcTalk stand out from other artist and groups of the time. I have such fond memories of that creatively inspired era. Now, music is in such a different, and, at times, discouraging place because of the industry’s lack of desire for more creativity. Christian music has lost a lot of its soul in my opinion. Hopefully, someday soon, we’ll be able to get in a room of super talented people again and create something special…something we all can be proud of. Eddie Kaufholz (Relevant Magazine) – On the Relevant podcast, I talk a lot about a dc Talk reunion. And it’s not a joke. I love these guys! I love their music. It was the first band that was a group of believers that I actually listened to. It was the first time I realized that music could have an element of faith attached to it. And it was so good! And Jesus Freak was that album! I remember hearing the song Jesus Freak and just saying “this is actually really good music and I am completely resonating with this message.” And it feels like it was just yesterday. But it was actually a long time ago! Denny Keitzman – Road Manager: We were actually on tour in Australia, New Zealand and South Africa before Jesus Freak came out. Toby had the song Jesus Freak written by that point. We started performing the song live in those shows. To be honest, I thought Toby was crazy. I really did. I knew he liked being edgy but to this point he had been safe. He was still accepted by youth pastors and such by that point. But now you’re running around and banging into each other on stage and singing this very aggressive song. The lyrics were great but it was very aggressively delivered. I remember that I sat Toby down and told him that I thought he may have crossed the line. Well, Toby is as close to a genius as anybody that I know in music. And Toby put Jesus Freak out as a single before the album was even finished. He basically tossed it out like a frisbee to see what would happen. If it would have gone out and bombed, he would have time to change the direction of the whole album.. The record company and management basically had wanted him to create “Free at Last 2”. They wanted him to make a clone of Free at Last because it was so popular and successful. But that’s just not the way that Toby is. Long story short, it was a smash hit. And that just goes to show you how much I know (laughs). Corey Mann (Pulse FM): When I was in mainstream radio, I remember my programming direction walking in and handing me a CD. He tells me, “We’re gonna start playing this now.” And I had never heard of them before. And it was dc Talk and the song was “Just Between You and Me“. It was considered a “crossover” song. And then I remember A&M records sent the whole album and I fell in love with it. It had everything that I would want as a music fan. It had a little bit of rock… It had a little bit of rap… It had a little bit of this great contemporary sound that sounded like everything that was on the radio at the time… But the content was drastically different from the stuff that I was listening to. So every song hit me between the eyes. So fast forward to 2009, I get into Christian radio. Now I had been listening to Christian radio but hadn’t been working at it. There are people that are my age that can say the “Jesus Freak” album changed their life. And those 3 guys together were pretty incredible. So now you have 3 guys that are doing their own thing and are extremely successful. And what they’re doing is great and phenomenal… But there’s a part of a bunch of people that would just love to see, even if it was just 1 more time, what would happen. Especially in Christian music where you have your big 5 artists and then everyone else is like B-list and C-list. I think they would dominate all of a sudden. And I think they would reignite something for those of us that are slightly older. But I also think there would be something really cool about handing it to my 7 year old and my 17 year old and saying “This is really good if you give it a chance.” And if you listen to that (Jesus Freak) record today, I think it stands the test of time with anything that’s out now. Both sonically and lyrically. Kevin Max: I think dc Talk will constantly remain relevant because we projected honesty and dedication onto everything we did. Obviously, some of the early stuff is laughable… but from ‘Free At Last’ on to ‘Supernatural” there was some great musical moments. Also, our desire to ‘raise the bar’ within the Christian Industry from a ‘Live show’ standpoint was one of the reasons we were one of the biggest selling acts of the 90’s. That and the fact that we believed in what we sang about…. sincerity about our faith was probably our strongest point. Michael Tait: It’s one of those records that every artist wants to make, and if you didn’t you wished to make it. But we were definitely blessed. You could probably answer that question better than I could about it’s impact on people’s lives. It crazy…Two generations have now enjoyed Jesus Freak and Colored People and In the Light.. Strong strong strong songs from the past that have stood the test of time. That’s very rare. TobyMac: Well, first of all, it’s a great honor to be involved in a record like that. It’s a record that people are still interested in and talking about. It may have been a little bit of a game-changer for the industry. I still look back and I can’t believe I got to play a role in that honestly. It was a special time. It was a time when music was changing. The landscape of what people were gravitating towards musically was changing…not just in Christian music but in music across the board. Rock n’ roll had made a comeback sort of. And it was raw and almost under-produced. It was more organic, and not so programmed. Coming out of the early 90’s, there was a lot of programmed pop music. And all of a sudden, real instruments came to the forefront. So Mark Heimmerman and I lived in the studio with Michael and Kevin (laughs). Having that vocal arsenal with Michael and Kevin makes anything sound great honestly. As far as producing the record, it was in the trenches. Blood, sweat and tears (laughs). There were a few times we were working so hard passionately, we looked at each other near the end and wept a few times. The dc Talk years in general were very special. When you pack up a U Haul and leave college life and head to Nashville to say that we’re gonna make a run at this together as friends and roommates…You climb a mountain together. You’re really depending on each other. Arguing. Laughing. Crying. Laughing again. It was just special. I’ll never do that journey again. I’ll never have the chance to leave a University to sort of jump out of a plane and say “let’s go”. It was an honor to write a lot of those songs with different people. I think people kinda think Mark Heimmerman and I wrote all of it. What If I Stumble was a song I wrote with Dan Pitts, our manager at the time. We wrote that song on a piano in the True Artist Management offices. Jesus Freak and Between You and Me was written with Mark Heimmerman, our producer. Colored People was a song I wrote with George Cocchini, who was a studio guitarist that was our friend. He just came in and played that riff one day. I thought it was a monster riff and we went with it. There was definitely a lot of collaboration. Mark Heimmerman deserves a lot of credit for sticking with it and pushing through. Joe Baldridge played a big role in the record as an engineer. Someone challenged me to listen to the record about a week ago. And I feel like it still sounds good somehow. Another reason why I think it was a new day for Christian music is we put down what I call this shiny-happy-plastic-Microphone holding guy. We confessed that we were kinda concerned about stumbling. We know we will. And the perfect little guy up there with the microphone sort of became a flawed guy that was still trying to turn people’s eyes to the King. 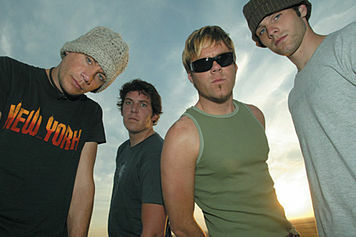 Mark Townsend (dc Talk road rhythm guitar): I came on board with dcTalk in support of Jesus Freak. I had been playing with Steve Taylor & Some Band and it was there where I caught their attention as they had seen us play some live dates. They contacted Steve to check with him and see if it was OK to talk to me about becoming part of the dcTalk band, which was a total class move on their part. I came down from Ohio (where I was living at the time) and jammed with them at a rehearsal space in town. The rest is pretty much history. I had been touring for a lot of years with different bands and been only slightly familiar with the earlier albums. Ultimately it was a pre release of Jesus Freak that caught my attention, as it was a guitar driven record. With a week or so of rehearsals, we jumped headlong in to what we called the Freak Tour but would later become known to the world as Welcome to The Freak Show. From my first show with them it was clear that it was a freeforall on stage every night, which was a blast… just pure energy for most of the show. It wasn’t a evening of specific cues and perfectly mapped out stage spots. It was a lot of improv and getting creative with the moment, which was clearly of the school I came out of. We would watch video of the shows in the bus afterward and see how to improve the show, but from the start it was apparent it was something special. Kevin found out that drinking a bunch of coffee right before the show in San Diego would cause him to lose his voice, which in turn found me covering his vocal parts and solos for the night. Toby had a shoe stolen off his foot in the mosh pit during a show. I don’t think he ever got it back. It was all in the spirit of the tour. In the course of time, it really became like finding a bunch of brothers I never knew I had. It was also clear there was a commitment to presenting the gospel, which I very much supported. The acoustic sets were always something special and very much a time of worship. When they decided to film and record the show for release, to me it seemed like a great idea. As good as that video is, there are so many “you just had to be there moments” that will always be in my mind a part of great memories of my years with the guys. The tour also led to the forming of Zilch (which is near and dear to my heart) but that is a story for another time… Best wishes and blessings. This entry was posted in art, CCM, Christianity and tagged audio adrenaline, dc talk, for today, kj52. Bookmark the permalink. Wow. 20 years of Jesus Freak. It was interesting during that time period because -I didn’t think much match the secular hard rock bands with their drive and just plain good sound – yet thanks to hearing the talents of bands like my now beloved dcTalk and Jars of Clay and Guardian, Petra – I would still be preferring secular bands like Rush, Van Halen etc – So with these Christian bands great sound, style that I encountered then – it was a true blessing for me to enjoy the hard drive of their music verses things that were secular based in nature. Keep on going guys thanks!!! Loved reading this. Twenty years ago I was a freshman in college. Yes, I was a huge fan when it was released. But it was in my tumultuous twenties and even in to my thirties that no matter where I went and how far I strayed I always came back to it. And back to Jesus. I still have my original Jesus Freak CD from when it was first released and listen to it often. In January 2014, Tait indicated that he liked the sound of a “20-years-later” tour in 2015, and that he and tobyMac continue to have conversations on the subject, but that tickets would be pricey. Read it liked it. Amazed about it… Redo it.. Agaiñ.. Put it out there.. This young generation coming up will share it..